As it turns out, the chalk of the first weekend wasn’t so bad after all. In fact, it made for one of the most exciting second weekends of the NCAA Tournament in recent memory. 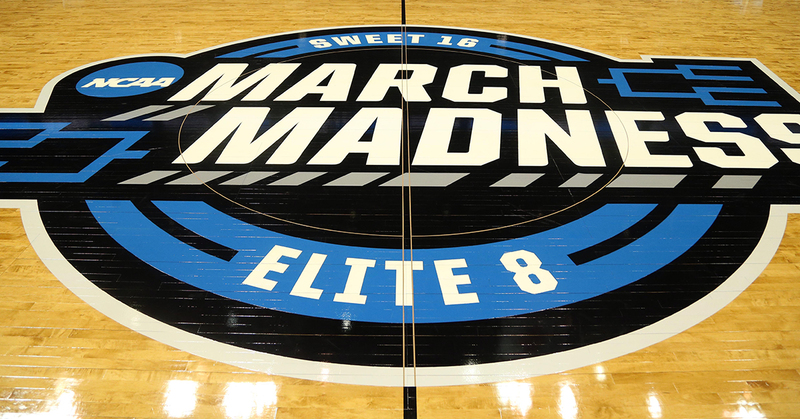 In the Sweet 16, half of the eight games went down to the wire, and even the other four games that were decided by double digits produced some interesting narratives. Duke barely escaped again, this time against Virginia Tech. In a carbon copy of the finish of Duke’s second-round game, the Blue Devils won on a missed layup that rattled around every part of the rim before bouncing out at the buzzer. Perhaps the best game of the round of 16 came in the overtime contest between Purdue and Tennessee. Carsen Edwards continued to wow, but it was senior Ryan Cline who stole the show. Cline came in averaging 12 points per game and had never averaged more than 5.4 before this season, but he went off in the regional semifinals, scoring 27 points on a ridiculous 7-of-10 shooting from 3-point range. Tennessee was down for most of the game due to the Boilermakers hot shooting, but the Volunteers made a late comeback and led 82-80 in the game’s final seconds. Off of an inbound play, Edwards, barely inbounds in the corner, missed a contested 3-pointer but was fouled. He missed the first free throw but converted the next two attempts to send the game to overtime, where Purdue never trailed. Oregon, the only double-digit seed in the Sweet 16, also came close to unseating Virginia, and Kentucky’s stars PJ Washington and Tyler Herro pushed the Wildcats past Houston 62-58. In the Sweet 16 blowouts, both Michigan State and Gonzaga took care of good competition with ease. Texas Tech put on a defensive display, holding Michigan to just 44 points, including only 16 in the first half. Auburn also blew out North Carolina, making the Tar Heels the first No. 1 seed to get sent home in the 2019 tournament. However, the Tigers lost Chuma Okeke to a torn ACL midway through the game. Three of the five remaining ACC teams met their end in the Sweet 16, leaving only Duke and Virginia in the Elite Eight. Two teams from the Big 10 and two from the SEC also made the final eight. Start to finish, this was the best Elite Eight I have ever watched. Every game was decided by fewer than 6 points, and two of the four games went into overtime. The first game of the Elite Eight kicked the round off with a pretty big upset. Texas Tech topped Gonzaga 75-69 in a year when most felt it was finally time for the Zags to break through and win the whole tournament. The most important takeaway from this game was that the Red Raiders proved they could shoot well enough to win on a day when the defense wasn’t at the usual Texas Tech level of excellence. Saturday’s nightcap featured another classic matchup of a great offense versus a great defense in Purdue versus Virginia. No single performance from this tournament should be remembered more than Edwards’ game against the Cavaliers. On a night where none of his teammates scored more than 7 points, Edwards dropped 42. He played 44 out of 45 minutes and shot 10-of-19 from deep. Some of these 3-point attempts were ill-advised early in the shot clock, but he sunk most of the step-back, contested 3-pointers and ridiculous shots from basically the halfcourt logo. With Virginia down 2 and Ty Jerome at the line with 6 seconds left, Jerome missed his free throw. Mamadi Diakite swatted the ball out to half court where Kihei Clark chased it down. He threw a bullet pass back to Diakite who lofted a shot over Matt Haarms that somehow found its way into the net to force overtime, an overtime which the Cavaliers controlled. On Sunday, Auburn took down SEC rival Kentucky in overtime. Okeke arrived in the second half and watched from his wheelchair behind the bench. The injured sophomore celebrating with his victorious teammates may serve as one of the lasting images of the tournament. Finally, in the only 1 versus 2 matchup of the Elite Eight, Michigan State defeated Duke 68-67. After a first half dominated by runs, the teams traded buckets in the second half and neither team led by more than a handful at any point in the game’s final 20. Duke led by three with under two minutes left, but a quick five points by the Spartans, highlighted by a Kenny Goins 3-pointer, put Michigan State ahead by 2. Duke came down the court and got RJ Barrett a good look, but he missed from deep. The rebound found it’s way back to Barrett who drove and got fouled. With 6 seconds left, he was at the line with a chance to tie the game. Barrett missed the first. He followed by making the second while he was trying to miss it. Duke couldn’t defend the ensuing inbound and the Spartans advanced. Most are calling this Final Four field one of the most wide-open ones in tournament history, and there’s certainly justification for it. Virginia is easily the best of the four teams left, but the Cavaliers aren’t Duke or UNC. They’ve already written their wrongs from last year, but this group of Cavaliers hasn’t been in this moment before. Then again, neither have any of the other teams. Texas Tech has shown the ability to stifle any team with its defense, giving the Red Raiders a shot in any game. Michigan State just has the look and feel of a championship team, led by veteran guard Cassius Winston who is a favorite for the tournament’s Most Outstanding Player. Finally, there’s the wild card, the Auburn Tigers. A team that, like Texas Tech, was supposed to regress in 2018-19. Instead, the Tigers won the SEC Tournament and defeated blue-blood after blue-blood en route to the Final Four. Plus, March Madness loves a feel-good story, and the Tigers playing for Okeke is just that. So who will be hoisting the trophy in Minnesota? I’d say who I think will win it all, but there’s probably a better chance of getting the prediction right by throwing darts. In all seriousness though, I’d lean towards the Spartans.